While the trade war between China and the U.S. heats up, and Japan and the U.S. are planning to begin negotiations on a bilateral trade agreement, the TPP11 (made after the U.S. withdrawal from the TPP) will come into effect on December 30, marking the start of a huge free trade area representing 13% of global GDP. On November 6, Japan’s Cabinet also approved bills for ratifying the Japan-EU Economic Partnership Agreement (EPA), which the Japanese government has indicated as another pillar in the creation of free trade areas, and the EPA is expected to come into effect on February 1, 2019. The Japan-EU EPA will include 28% of global GDP in one huge trade area, and interest has been growing in this expansion of free trade led by Japan. 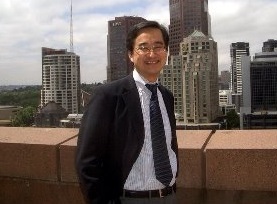 The FPCJ has invited international trade expert Dr. Fukunari Kimura, a professor at Keio University, to discuss the significance and future outlook of these free trade agreements, and what role Japan will play in them. Due to the size of the venue, you must apply in advance. Thank you for your understanding.